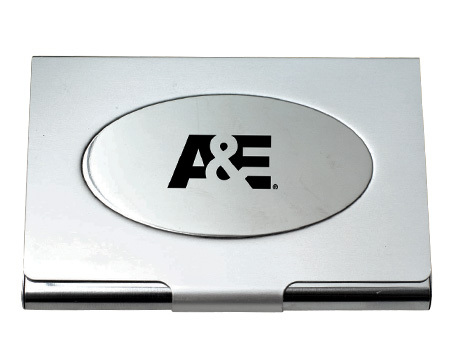 Elegant metal business card holder case, matte with shiny oval, 2 3/8" x 3 3/4". This cardholder or card case is great for printing. Imprint area 2" x 1". Carton Size: 13" x 12" x 16"